The celebrated BC Cup XCM Series is back for 2019 featuring Western Canada’s most exciting XCM races. 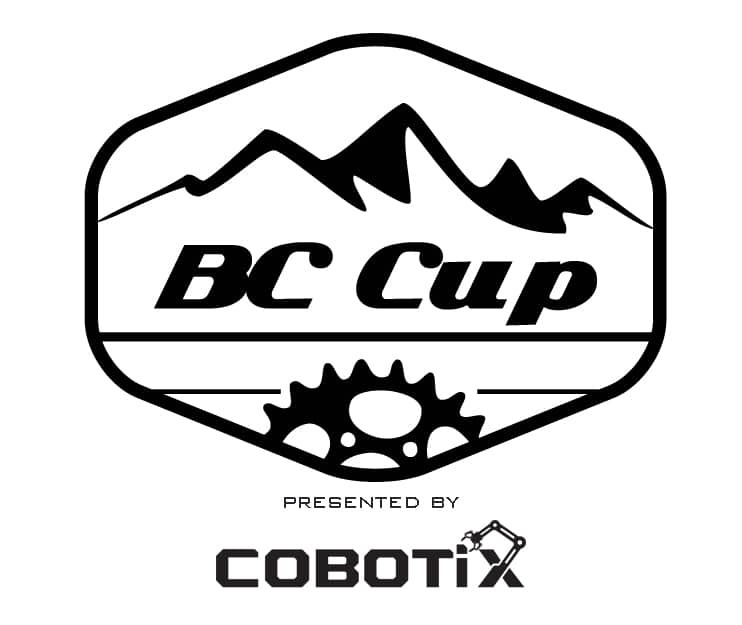 The 2019 BC Cup XCM Series p/b Cobotix will play out over 3 races throughout the Province, giving racers the chance to accumulate points while chasing the opportunity to ultimately be crowned the BC Cup XCM Series winner. Only racers with a UCI or BC Provincial RACE license will be ranked. The XCM BC Premier Series consists of a series of races featuring some of BC’s top cross-country mountain bike events. Points are calculated from the results of each race and then riders are ranked in the series standings. Series points will be accumulative for all races with all available points contributing to the series standings. Points for each race will be awarded to the top 75 finishers as per previous years points table for top 75 places ranging from 200 points – 1 point. Racers must start a minimum of 2 events to be eligible for the series title. In the case of a tie, the number of events completed will be considered. If still tied, the number of 1st place finishes will be considered. If still tied, the result of the most recent event will be considered. Each rider must ensure they have read and understood the Mountain Bike UCI rules listed here. The following categories are being tracked for series points. Additional categories to individual races may be added by the race organizer, though these will not be tracked as part of the series. Series winners will be recognized at the final race of the year as well as at Cycling BC’s annual year end party. The overall winner of each BC Series category will be published once confirmed. Riders must wear cycling apparel (comprising of clean team shorts, jersey, cycling shoes or sponsored podium shoes) to the awards ceremony when receiving the Leader Jersey or series prizes. Failure to do so will result in loss of award. All athletes who have placed on the podium must attend the ceremonies. Failure to do so will result in loss of award.